As expected, police officer Hayden Morgan has sued the Government of Dominica for what his lawyer claims was "malicious prosecution." Two years ago Morgan was stationed at the Portsmouth Police Station in the post of acting sergeant when Joshua Etienne, who had been arrested and placed in police cells in Portsmouth was found dead as a result of alleged police brutality. 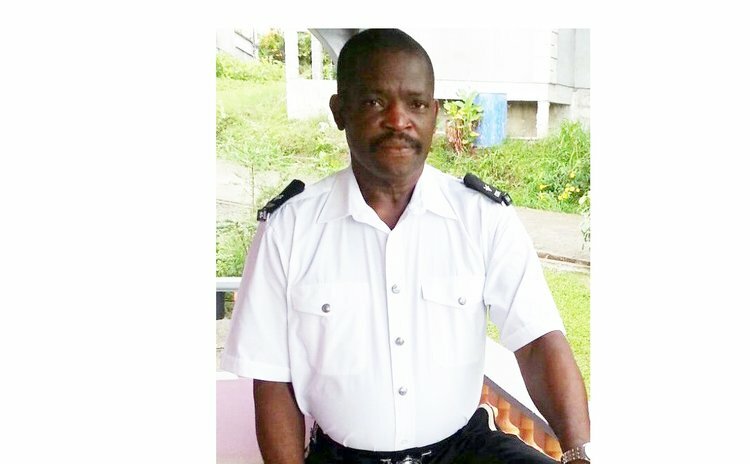 Chief of Police Daniel Carbon ordered an immediate investigation that was to be conducted by senior police officers and members of the Criminal Investigations Department (CID). Afterwards Carbon told the nation that Etienne had in fact died in the custody of the police under mysterious circumstances and those responsible will be brought to justice. There was a huge public outcry for justice and on 12 August 2014, Police Constables Orlan Vigille, Delvin Challenger, Martin Seaman, WPC Gemma Louis and Sergeant Hayden Morgan were arrested and charged for the murder of Joshua Etienne. Morgan, the officer in charge at Portsmouth was not present when the incident occurred but since it happened under his command he was charged "criminally". He maintained that he was innocent. After Judicial Review of the charge failed on March 27, 2015 he along with the other officers were re-arrested, the charge of murder read them and the officers were remanded to the Stock Farm Prison. Morgan remained there until March 30, 2015 when he was granted bail by consent and on July 27, 2015 the Director of Public Prosecutions (DPP) discontinued the charge against him. He therefore slapped a lawsuit against the Attorney General, the Director of Public Prosecutions (DPP) and the arresting officer Matthew Cuffy. In the suit filed by the law firm of Dyer & Dyer, Morgan claims that his incarceration at the Stock Farm Prison caused him to suffer from an elevated high blood pressure and he had to be treated by the prison doctor. His illness, he said, was as a result of "stress, emotional distress and shock as a result of the murder charge". Morgan claims that he was wrongfully arrested without reasonable and probable cause on August 12, 2014 and on 27, March 2015 whereby he was detained and taken to prison. "He was deprived of his liberty and his reputation has been injured and he has suffered mental anguish and has suffered loss and damage," the claim stated. Morgan has asked the court for damages of $68,970 and damages for false imprisonment and for malicious prosecution. He also wants costs and further or other relief as well as aggravated and exemplary damages. He said he believes that the arresting officer and the DPP were motivated by malevolence or spite towards him and thereby intended to humiliate him in the presence of the public and subjected him to ridicule and contempt in the presence of others.